Entering our 37th year as the volunteer stewards of Hall’s Pond Nature Sanctuary, we dedicate this issue of the Newsletter to the very special people who preserved and protected this unique urban resource. From Minna Hall and Harriet Hemenway who gathered together the advocates who fought to protect birds which led to the founding of the Massachusetts Audubon Society in 1896, to the Town of Brookline Town Meeting Members Ferris Hall and Jackie Fried who led the initiative to acquire Hall’s Pond as a nature sanctuary when the site was threatened with development in 1975, to Josephine Albrecht who in 1976 founded The Friends of Hall’s Pond as the first Friends group to support open space in Brookline and served as its President until her death in 1994, to all the members of the Brookline Conservation Commission and staff who have made the Sanctuary a priority for capital investment and sustainable maintenance, to those who worked with Barbara Mackey on “A Plan for Hall’s Pond Sanctuary” and with Gail Fenton, Randolph Meiklejohn and Tom Brady on the most recent Management Plan, and to all the members past and present of The Friends of Hall’s Pond, we offer our thanks and appreciation for their gift of time, their shared expertise and their continuing commitment to preserve and protect Hall’s Pond for the benefit of wildlife and the education of the public. We honor the legacy, we pledge to work vigorously to support the mission and we invite all of you to join us now and in the future. Gets you outdoors. Stretch your legs hiking pondside paths and boardwalks (or even backroads, woods, mountains, beaches!) seeking elusive winged critters. Brings you close to nature. 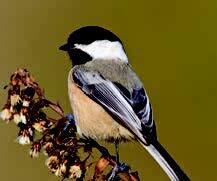 Birds have inspired and awed mankind in song and saga since dawn-age. 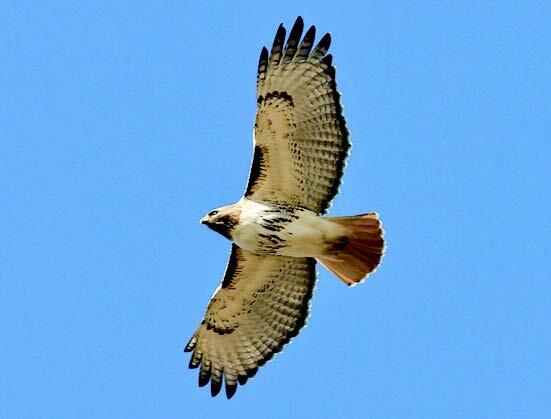 Birds not only fly, but hover, wheel, soar, dive, and migrate astonishing distances. Renew your instinctual confidence and shed your fears. Sharpens your eyes. Learning the fine details of bird observation (field marks, habits, movements, plumages that change seasonally and/or with maturity) necessary for accurate identification also hones your visual discrimination and general awareness. Piques interest in sciences. You’ll soon learn little facts about botany, geology, zoology, geography, natural history. 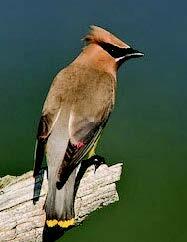 Which berries do Cedar Waxwings prefer? Why don’t Wood Ducks nest in oak holes? How is it that some Canada Geese migrate and others don’t? 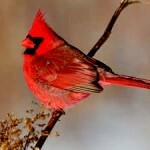 How long has it been since Cardinals were ‘rare birds’ in Massachusetts? It won’t be long before you’re finding out, looking up, or hearing about these curiosities. Affords social outlets, as needed. 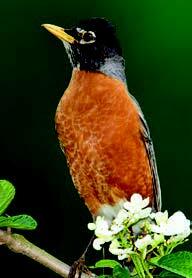 Be a joiner and find kindred souls in Massachusetts Audubon Society or Brookline Bird Club, actually a statewide group. Be a loner for quiet time with Mother Nature. Best of all might be birding with a family member or friend or two. Improves map-reading, sense of direction. Finding a house on a signed street is one thing, but finding a 5” Nashville Warbler in a 10-acre park takes fine-tuning of your orienting skills. MapQuest and GPS will take you just so far, then rely on learned homing skills and sharpened instincts. Teaches ecology and habitat preservation. Everyone talks the ‘green revolution’ talk: hybrid cars, wind farms, mini-fluorescents, canvas grocery bags, lights out, composting. But who walks the walk? Birders have been doing it long before it was hot; and the birds themselves, with their resilient adaptive powers of survival, much longer. Provides amusement for five minutes or five hours. You can bird actively during a ten-minute stroll or an allday hike. All you need to get going is a good field-guide (Sibley’s or Peterson’s, $25), sturdy shoes, brimmed cap, field-card and notebook, and decent binoculars. I’d advise making inquiries regarding size and style, but expect to spend from $3–500 for birdserviceable starter ‘bins’. Travels easily with you world-wide. Pop your bins in your carry-on, read up on The Birds of Thailand or Costa Rica, get you a ticket, and you can go forth and bird our shrinking globe. Finally, two vitally important items to factor in: incomparable aesthetic beauty and the gambler’s surprise element. Any birder can vamp on these for hours! Don’t get me started. Birds year-round at Hall’s Pond include many regulars. Herring and Ring-billed Gulls overhead. Flocks of Starlings, Pigeons and Mourning Doves on the ball-field. 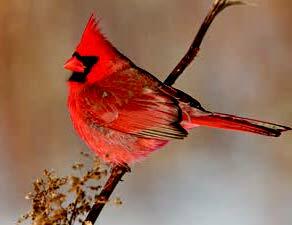 Bright-red Cardinals wheet-wheet!-ing in the trees, House Sparrows chirping in the bushes. The local Red-tailed Hawk being pestered by crows and jays. 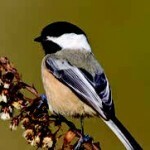 Chickadees, nuthatches, and titmice on the paths. And the now ubiquitous Robins just about anywhere!